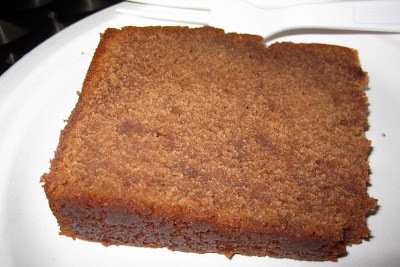 This is the recipe where I ran out of sugar and butter and almost eggs. That's because I didn't register in my brain at the time that pound cake, by definition, requires a lot of heavy duty ingredients. 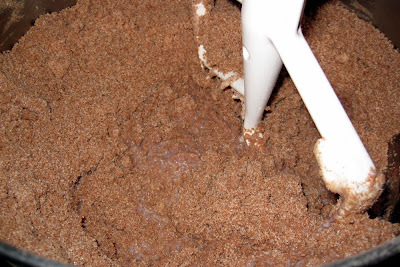 In fact, the ratio of sugar to flour to fat is usually 1:1:1. 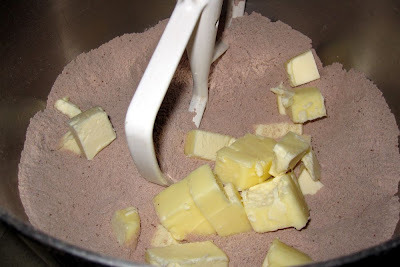 In other words, I'd need 3 cups of sugar, 3 cups of flour, and 3 sticks of fat (1 stick of butter, 2 sticks of shortening). Plus 5 eggs. Yes, it's very possible to run out of ingredients if you don't plan ahead. And yes, that's what happened to me. Late night run to the grocery store to finish making this cake. But oh boy it is worth it! 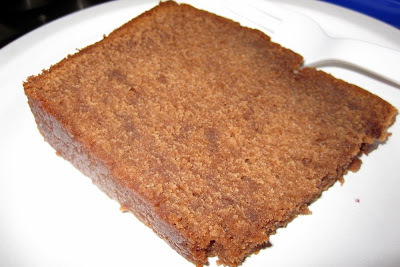 Pound cake is a dense cake. It takes an hour and a half to bake! You can even pick the slice up with your hand rather than a fork because it won't crumble or break off. It's not at all diet food, but it's also heavier tasting and therefore you don't need the same size slice you'd take if it were a devil's food cake. 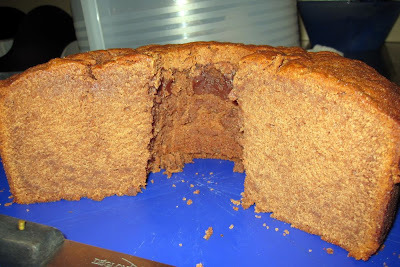 One of these pound cakes and you can easily serve 25 or 30 people. Have a glass of milk ready, too. 1. Position a rack so the cake will sit in the middle of the oven and preheat the oven to 325 degrees F. Line the bottom of your pan with parchment paper and spray the sides and bottom with baking spray. 2. 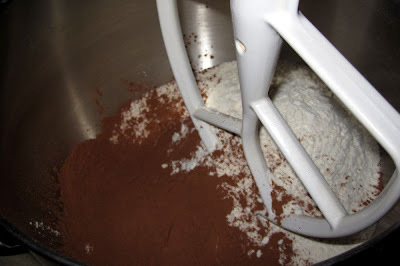 In the bowl of an electric mixer, dry whisk the flour, sugar, and cocoa together. 3. 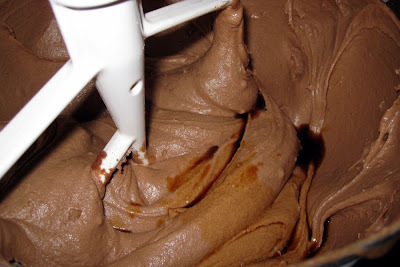 Gradually add the butter, shortening, and milk and beat on medium speed until smooth. 4. 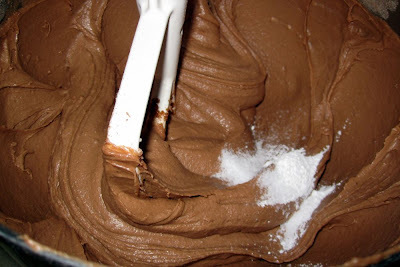 Add the baking powder and salt, and beat until incorporated. 5. 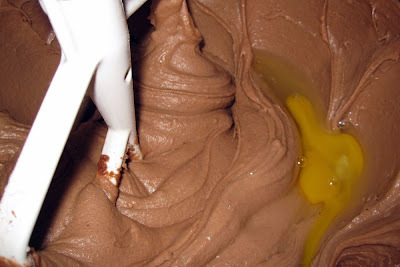 Still on medium speed, add the vanilla extract and then add the eggs, one at a time, beating after each addition. 6. Pour the batter into the prepared pan and bake for 1 1/2 hours, or until a toothpick or thin knife inserted in the center comes out clean. 7. 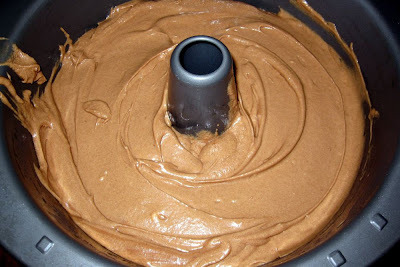 Cool the cake in the pan for 10 minutes. 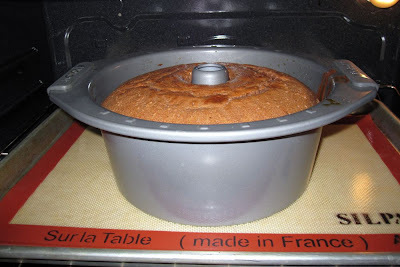 Remove the cake from the pan and flip it onto a rack or plate. 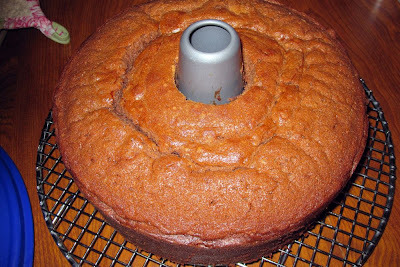 Continue cooling the cake. Yum! That looks delicious! I wish I had some with the cup of coffee that I'm drinking right now. They would go together so well! 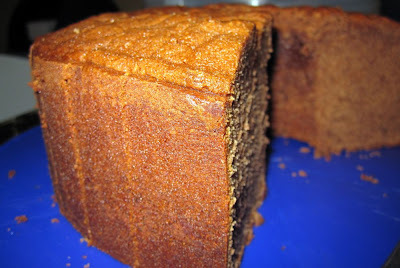 I wonder how it would be toasted...I love to toast pound cake! !